Breast Cancer is a frightening diagnosis to receive. Fortunately, there are many treatment options available today that offer hope. We now know that this is a multi-faceted disease, and there are various ways of fighting it. Many people still assume that the only options for treating Breast Cancer are the mainstream therapies of surgery, radiation, and chemotherapy. For those who have tried conventional approaches and want other options, or for patients who prefer more alternative options, Sanoviv offers an abundant field of alternative, holistic and integrative breast cancer treatment options. Here is an overview of some of the most effective breast cancer treatments we have found for Cancer. Our objective is to support your own defenses, weaken cancer cells, detoxify your body, and improve your overall well being. One effective breast cancer treatment is to starve cancer cells of foods that will promote their multiplication. At Sanoviv we serve 100% organic food that is high in nutrition and free of potential allergens such as gluten and dairy. We believe in using the energy in food to promote health and to help your body heal. Part of our program includes learning healthy eating habits and recognizing unhealthy eating and cooking patterns. This program is provided by professional certified Nutritionists. Immunotherapy is based on biological immune system modifiers/stimulators, medications and biological vaccine treatments. It provides an integrative treatment to modify, modulate and stimulate your body’s regular immune system function and mechanisms, so that it can recognize and treat cancer cells. The detoxification pathways of the human body are a network of enzymes and enzyme systems; they help protect cells from reactive oxygen species such as free radicals. Enzymes work to detoxify a wide range of cancer-causing chemicals which may have implications in the reduction of cancer rates. Part of breast cancer is toxicity, therefore eliminating the exposure to toxins and encouraging the detoxification systems of the body to be at their best may be a potent strategy for healing. Also, clinical trials in the use of enzyme therapy have shown that enzyme combinations can mitigate side effects from chemotherapy and/or radiotherapy, contributing to improvement in the patient’s quality of life. Tumor hypoxia or lack of oxygen in tumor cells may be a factor for poor prognosis in a cancer patient. Some studies show that cancer cells do not thrive in an oxygenated environment. Oxygen therapy is an alternative or holistic cancer treatment used to help create an environment that may hinder the progression of breast cancer as well as reduce side effects from conventional cancer treatments. Many researchers think lack of oxygen in our cells is a possible risk factor for some forms of cancer. An impressive variety of new ways to introduce oxygen into the body is emerging. Flooding cells with oxygen may retard the growth of cancer cells and maintain healthy cells at their normal functioning level. Holistic and alternative cancer treatment has relied on nutrition and supplementation to aid in healing cancer for years. At Sanoviv, nutraceutical supplementation provides essential minerals, vitamins and antioxidants to improve nutritional deficiencies, fight free radicals, promote detoxification and support a effective biochemical balance in your body. Modern Homeopathy known as Homotoxicology may offer a holistic cancer treatment to aid in the fight against breast cancer, as progressive deterioration of the body’s own cleansing system leads to gradual compromise of the defensive mechanisms. Reversing this process will have great value in the fight against cancer cells, helping the body recapture its lost biological ability to compete against the invasive cells. Cancer is a disease of the mind, body, and spirit. A proactive, positive mind and spirit will help the breast cancer patient’s fight against cancer. A constant pattern of anger, resentment and bitterness can put the body into a stressful environment. At Sanoviv you will learn from our integrative psychology department will help you to promote a loving and forgiving mind, body and spirit, creating a positive physiological impact to your body. Exercise is also very important to aid blood circulation and oxygenation. Exercise programs are tailored to suit the individual’s needs and abilities. Practices such as Yoga may be beneficial, as some studies have demonstrated mental and physical benefits for cancer patients. An overview of Sanoviv’s breast cancer treatment also includes phytotherapy, thymic peptide therapy, probiotic therapy, blockade of adhesion molecules and hyperthermia, among other individualized medical treatments designed to restore the gastrointestinal, liver and lymphatic system, as well as the hormonal, circulatory, renal and immunological functions. 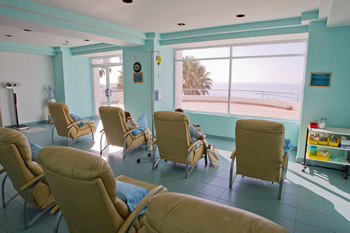 We know that your stay at Sanoviv is only the beginning of your healing process. At the end of your stay, in order to support you on your way to recovery, you will receive an individualized home program designed to be incorporated as part of your daily lifestyle. We will continue to support your progress with our After Care program that will coordinate any questions or comments you might have for your health team for a period of 6 months. Breast cancer, just like any other form of cancer, is linked to the activity of genes that can promote the growth of cancer known as oncogenes, and certain genes that can inhibit the growth of cancer known as tumor suppressor genes. This activity can be turned “on” or “off” by various physiologic factors that are determined by the interplay between the external and internal environment. While it has been proven that inheritance is not the primary cause of cancer, a small percentage of cases may involve some inherited factors. Studies show that approximately 85% of breast cancers occur in women with no family history of breast cancer, and are believed to be caused by environmental and lifestyle factors, dietary habits and chronic stress. About 5 to 10% of breast cancers can be directly linked to genetic mutations, being the most common mutations the BRCA1 and BRCA2 genes. Cancer rates have been rising alarmingly in the last century, particularly during the last three decades, when cancer has become the second leading cause of death, behind cardiovascular disease. Although there has been a slow decrease in breast cancers, the numbers are still staggering with a reported 230,480 new cases in the U.S. in 2011. The main reason is that never before has the human body had to deal with such a vast number of triggers activating oncogenes and paving the way for cancer as it does now. Part of our mission is to educate our patients about the connection between breast cancer and lifestyle factors. We will help you learn to identify your risk factors, and identify lifestyle changes that can help minimize these risks in the future. Our integrated team of health professionals will thoroughly assess where these imbalances originate in order to find the root causes that are contributing to breast cancer. This is usually a multifaceted problem that no one health professional can fully grasp or treat. The team that you will be working with is led by your Medical Doctor and includes: Dentist, Psychologist, Chiropractor, Nutritionist and Fitness Expert. Not only do we have state of the art diagnostic and assessment tools, we have a fully integrated team of health professionals who will study all of this information and connect the dots to reveal why your biochemical, physiological, structural, and psychological individuality has developed breast cancer, but also make recommendations to help you regain your health. Like breast cancer, disease usually comes from multiple imbalances in a person’s life. Here at Sanoviv, you will be working closely with your team of health professionals who will work with the entire staff of health care professionals to design a program specifically for you from all the information obtained. Your Psychologist will help to determine any emotional factors that might contribute to the development of breast cancer and support your healing through relaxation, healing imagery and emotional expression. Your Dentist will assess and treat any issues that could exacerbate the inflammatory process like gingivitis, cavitations, abscesses and heavy metal toxicity that can affect breast cancer. Your Nutritionist will assess your diet and give you information on the role food will play in your healing from breast cancer, especially after identifying your metabolic type. Your Fitness Expert will help you strengthen and exercise your body in a holistic way to support detoxification, greater energy and overall health. At Sanoviv, we understand that a diagnosis of breast cancer can strike fear in the heart of any woman, her loved ones and friends. We know all too well that this is a serious disease. The “C” word is so emotionally charged, that many people, upon hearing cancer as a diagnosis, feel as though their life is over. We understand these feelings and concerns. We also know how both patients and physicians can feel overwhelmed with the amount of information they must sort through when considering options for treatment. This becomes even more complicated given the fact that breast cancer is not a single entity, but there are actually different types of breast cancer disease. There is no single answer to what causes breast cancer and no single answer to treat breast cancer effectively. All of this can leave you feeling numb with fear and doubt, confused about what your next step is. We are here to tell you that you do not have to walk alone. I was originally diagnosed with Breast Cancer in March 2012 and had a Wide Area Excision to remove the tumor, followed by Chemotherapy and Radiotherapy – typical acceptable traditional treatment for Breast Cancer. I lost my mom and sister to breast cancer and knew that advances in medicine had come on a lot so I was hopeful that my chances of complete recovery would be a lot higher than theirs had been. Unfortunately my cancer turned out to be quite aggressive and they couldn’t find a “trigger” which meant that a lot of the treatments now available to Breast Cancer sufferers were not suitable for me. In March 2013 scans showed that I had cancer on the liver, and possibly in Pancreas as well. This confused my oncologist, and obviously upset my family and friends. There was very little treatment available to me and I was told that I had 6 months to live. I heard about Sanoviv, and their new cancer program, and agreed to travel to Mexico and see what they could do for me. The program had a whole list of treatments and therapies I had never heard of, but I took some time out and did a bit of research to try and understand why Sanoviv appeared to be successful in treating cancer, and the “Conventional Medicine” couldn’t help me any more. I soon learned that there were lots of testimonials to support the treatments and therapies I was learning about, but “Conventional Medicine” seemed reluctant to comment. I really felt that I had nothing to lose – the program would be 4 weeks out of my “6 months”, and I wanted to live! When I arrived at Sanoviv I really didn’t know what to expect. I knew I was in pain. There were other people on the program – different cancer issues, different stages of treatment, and from all over the globe. My partner travelled with me and helped me to settle in, and we met fellow cancer Patients. Most of us on the program had friends and/or loved ones with us, called “Companions” within the clinic. I soon learned that Sanoviv was looking at all of me – Mind Body and Spirit, not just my cancer. Their cancer program included evidence based holistic, alternative, and integrative treatments, tailored around me! I had easy access to doctors, alternative therapists, and nutritionists, all seeking out the best treatments and therapies for me – as an individual. The program wasn’t easy, but we learned more about the treatments and therapies and were able to talk to the others on the program. All the staff were exceptional, and they all understood what both my partner and me were going through. We really couldn’t have asked for a better environment to help us through the many ups and downs we went through for the 4 weeks. What a shame this sort of clinic isn’t available in the UK. And a bigger shame that Conventional Medicine isn’t prepared to accept that this alternative form of therapy has a place in our world. I do not want any allopathic medication. I want an all natural approach. Can you accommodate this? That is our first goal with every guest. From our point of view, the more natural and less invasive/toxic the approach, the better. Do you use chemotherapy or radiation along with more natural treatments? Yes. Sometimes we recommend combining the useful aspects of these with our more alternative approach when it will serve your health goals. We usually only recommend this when no other more natural approaches can offer the same chance at improvement. Ultimately, using these tools will be decided by you with the support of your health team. Our approach is designed to support the optimal functioning of your own defenses, so even when exposed to these treatments, you may be able to deal with them with fewer side effects. Do I have to have my breast(s) completely removed? While statistics indicate that removing the breast or breasts in Stage I breast cancer can improve the prognosis, and conventional doctors might recommend this path immediately, our approach is based on looking for any other options that we have that might not be available elsewhere. No one wants to take chances with your life and healthy recovery from Breast Cancer, and we don’t either. We just work harder at taking the known statistics and applying them to your individual circumstances. Every patient is different and can respond differently to treatment. Sometimes we do recommend surgery when we feel it will improve your chance of improvement. We will try our hardest to respect your decisions in this aspect while still offering you the treatment plan with the greatest potential. What is the focus of your treatment plan? Medical treatment is targeted against the cancer, to support and strengthen your immune system, while not interfering with the healthy functioning of the rest of your body. Other disciplines like Dental, Nutrition, Psychology, Chiropractic and Fitness come into play to ensure that we achieve these goals and bring balance back into your life. What are the most common cancers that you treat? Since we focus on the underlying causes and imbalances that create cancer in someone’s body, we can treat various types of cancer. The most common ones that we treat are breast, colon, prostate and lung cancer. What is your success rate for treatment of Cancer? We do not have these records at this time. Our difficulty is that we have a varied population with different types of cancer, stages and recommended courses of treatment. This creates a huge difficulty to have a baseline group. What we have found with our approach is that the earlier the stage the better prognosis and very rarely needing invasive treatments. This is focused on prevention of metastasis or other primary cancers. We also focus on the underlying causes and what made you more susceptible to cancer. Our goal with every cancer guest is to slow or stop the progression of the disease, improve quality of life, and increase length of life. For optimal results we recommend 3 weeks. This is the amount of time needed to complete our core assessment and treatment protocol. I have just finished my traditional Cancer treatment. Is there anything else you can offer me? You might not be feeling optimal even though you have finished your traditional cancer treatment. We can offer to assess what underlying causes can be affecting this and support your optimal recovery from any side effects of these conventional therapies. We can support your immune system, and help your body to detoxify. We can support your ability to recover from these side effects by strengthening your immune system and overall healthy function of your mind, body and spirit. We are very successful at aiding in detoxification from chemotherapy. Why do I have to see a psychologist? Most people have an immediate impact when they hear the word Cancer in regards to their health state. This can be manifested as fear, grief, sadness, anger or all of the above. Psychology appointments are there to help you deal with the stress and anxiety of being ill. Our team approach also helps to reduce unhealthy thoughts or feelings that may result in biochemical changes that could contribute to your health issues. The field of Psychoneuroimmunoendocrinology (PNIE) studies the relationship that our thought and feelings have with the major communication centers of our body (nervous, immune and endocrine systems). If our thoughts, beliefs and emotions are not balanced, this can affect how our body communicates with itself and create health challenges. Functional medicine is an advancement in the practice of medicine that better addresses the healthcare needs of the 21st century. By shifting the traditional disease-centered focus of medical practice to a more patient-centered approach, functional medicine addresses the whole person, not just an isolated set of symptoms. Sanoviv was one of the first hospitals in the world to be certified in the Functional Medicine approach. 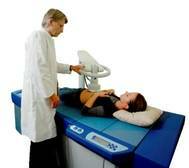 In our integrated approach the assessment by all the health professionals is very important. Even though all our professionals are certified and licensed by their specific profession’s Board, we go above and beyond what standard practitioners can provide. In regards to dental care, here we practice Biological Dentistry. This form of dentistry takes into consideration many things that traditional dentistry would not. These different paradigms and assessment tools are what set Sanoviv apart from traditional care. I have a wide range of issues apart from Cancer and feel overwhelmed, what can you offer me? We will help you organize your health priorities in the order of what may have the most profound impact on getting you healthy again. We will assess and treat the underlying causes through the use of specialized tools and try to prioritize those areas where we can have the most impact. You will leave Sanoviv with a detailed plan on how to approach your lifestyle in a functional way that could contribute to your overall healing. Think of it as your personal owner’s manual. It all depends on the duration and severity of your health issues. Our goal is to identify your right path to wellness through an integrative assessment and treatment plan that will combine the best of allopathic and alternative medicine. We will work together and allow you to be an active participant in your health and healing. With our support, you can be the hero of your healing journey. Will I ever stop using medication if I follow your program? The mechanism of action of medication is mostly to block chemical reactions in the body and most of the time won’t have an impact on treating the root factor that is causing the imbalance in the body but rather to artificially maintain balance. As an example, a lot of people will take a Tylenol when they get a headache but the headache is not caused by a deficiency of Tylenol. At Sanoviv, we will work to identify the cause for the headache first, then treat the root cause. When you come to Sanoviv, we start treating the causes of the disease and over time, the body will find its balance again. For this reason, you might start seeing changes in laboratory values and the doctor might have to start reducing the medication and reduce dosage until you reach homeostasis. Yes, you can bring a companion to support your stay. Especially since our program is based on applying lifestyle changes to support your ongoing health, bringing your spouse or significant other can be helpful as both of you can learn firsthand about these recommended changes. We may require you bring a companion for support if you are very compromised and cannot get from appointment to appointment without assistance. Even though we have a set of daily activities, each schedule is different from guest to guest. Your customized schedule includes all appointments and therapies. So, following your schedule will be very important. Usually our days start with an hour of relaxation practices, like meditation and energy medicine class. Then a light stretching class after which you have breakfast. Afterwards, most of the therapies and consultations take place. Usually there is some time for a snack break before lunch. After lunch we have some of our afternoon classes or more therapies and sessions until dinner. After dinner we have the main lecture in our auditorium to end the day. Usually it takes years of detrimental lifestyle choices and habits to start showing symptoms of imbalances in the body. Regaining your health is a process and we can not expect to reverse all imbalances within a couple of weeks. What we can do is help you get on the road to recovery. Many patients do not need to return to Sanoviv. Others choose to return for periodic assessments to reevaluate their current state of health and help you continue on the path to optimal health. Of course, this is not mandatory but strongly suggested. Yes. Even though our approach is based on finding the most natural and least invasive course of treatment, we know that sometimes surgery is unavoidable and is a necessary step. We offer a wide range of surgeries that can be combined with our innovative therapies and treatments to speed your recovery. Please check our Surgeries at Sanoviv page for more information. Yes. If you have known allergies or food sensitivities, we can certainly accommodate you. We will also educate you on proper nutritional protocols for you. Many people adopt extreme diets they found on the internet, a practice that we discourage. Instead, we will be recommending a customized nutrition program for you individually. Our nutritionists and kitchen staff are highly proficient in adapting our meals to serve you in the best way. Nutrition and eating properly for your biochemical individuality is one of the cornerstones of our treatments.